While having some level of stress is a good thing and stress can cause people to feel energetic and ready to deal with the issues that life throws at us, managing and dealing with stress can be a difficult thing. Too many people suffer from being overloaded with stress and this is when stress can very quickly become a bad thing. Studies indicate that close to 80% of illness can be linked to stress, and this means that you need to take control of stress before it causes you serious problems. At Hypnos Wellbeing I provide a range of treatments and techniques aimed at lowering stress and removing anxiety from your life. I use Health Coaching, Hypnosis, CBP and NLP techniques in order to serve the Hertfordshire community. If you are looking for help in dealing with stress and anxiety, I have clinics located in Hoddesdon and St Albans, as well as online. My aim is to provide the best standard of support in dealing with anxiety and stress in Hertfordshire that I can. There have even been suggestions that stress can have an impact on people suffering from Alzheimer’s, so if you are looking to minimise the likelihood of suffering any of these ailments or conditions, arrange an appointment today and I will be more than happy to help. I can help you to understand the root of your issues and then we can work together to resolve them in an effective and lasting manner. Using Health Coaching, Hypnotherapy, CBP and NLP techniques to address stress and anxiety is a fairly common way to improve your well-being and to resolve issues you have suffered from. At Hypnos Wellbeing, it is my goal to help you to identity the cause or causes of the stress and anxiety you feel. Whether this is down to a past experience, a current situation, a physical matter or something that is related to a relationship, I will work with with you on uncovering the main cause. From here, we will establish and agree a goal together, which I will help you to work towards. I offer a wide range of techniques, which means that I can create a bespoke solution aimed at providing you with the best standard of treatment and service possible. Find out more about us, review common questions and answers or contact us to discuss your requirements and book in for a free Telephone consultation. I look forward to welcoming you to one of our clinics in Hoddesdon and St Albans. For those who don’t feel ready for personalised sessions yet, here’s a link to our affiliate site where you can purchase MP3’s on a variety of topics. 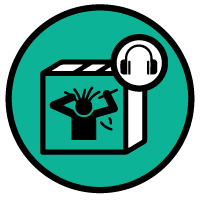 Simply click on the icons below to get yourself started with our Stop Anxiety MP3.